Show me a tennis player with a weak tennis forehand, and I'll show you a player who consistently loses games. 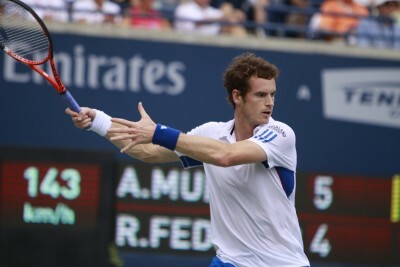 In modern tennis, it is important to have your forehand as one of your weapons. In this article, I will talk about 2 common problems that you may face in your forehand stroke and how to correct them. Be mindful of not turning your racket upward just before the moment of impact with the ball. If you make a mental note to grip the handle tightly as you swing, you'll reduce the risk of this happening. Make an effort to lower the face of the racket to a greater degree during your backswing. This will balance the natural tendency to open the face of your racket as you proceed to swing forward. It's important to begin your forehand motion with the racket face tilted downward just a bit. Generally speaking, when impact is made with the ball, the face of your racket ought to be in a vertical position. As you play your tennis forehand, be careful not to have the head of your racket below your hand at the moment of impact. This will course you to scoop the ball into the air and increase the risk of hitting it too long. Also make an effort when possible to hit the ball with a greater measure of topspin, which will aid it bouncing inside your opponent's bass line. Be careful not to strike the ball too late. If you focus on making impact with the ball sooner, your racket face will be more open, resulting in greater elevation. It's also a good idea to begin your forehand motion with the head of the racket further below the ball, which will also help you to transfer more lift to the ball. Another benefit of this strategy is that it will be easier to generate effective topspin. 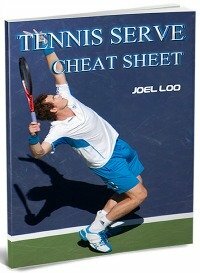 If you're hitting a topspin tennis forehand, experiment with lifting the ball a little higher. The characteristics of a topspin shot allows for more elevation while still having the ball bounce safely in play. A good standard is to aim for a height of at least three feet above the net. Another thing to bear in mind is that the longer stroke motion associated with a forehand loop can result in contact with the ball being made too late. If this applies to you, focus on shortening your loop motion slightly. 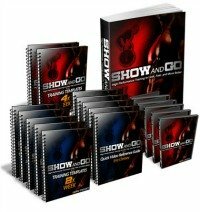 There is no doubt that possessing a stronger forehand in the game of tennis will dramatically increase your chances of winning points. Give these useful tips a try today. 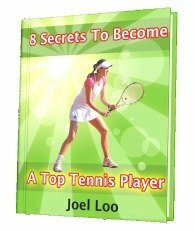 From "Tennis Forehand" To "How To Play Tennis Efficiently And Become A Better Player"